The Book In A Nutshell! The oppressive Socialist/Communist/Fascist, all powerful “State Dominant” systems have been tried and FAILED every time in every part of the world. However, current “Concentrated Capitalism” is leading to a FAILED disturbing income inequality that is leading to riots in the streets – uncorrected, it will inevitably lead to revolution. Whereas, “Inclusive Capitalism” has been PROVEN to work; yet on the scale needed for dramatic positive social change, has yet to be tried! We strongly suggest that the existing legislated tax incentives for ESOPs be greatly enhanced, thus making them extremely appealing to the business and the investor class! 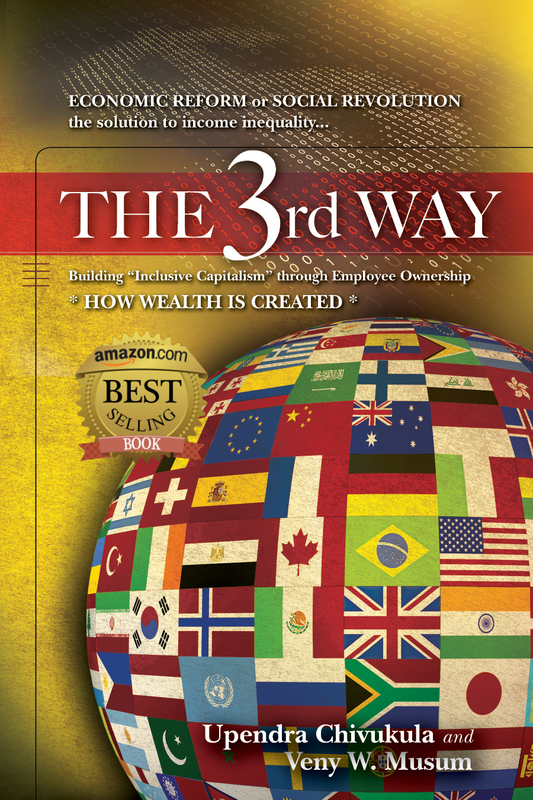 This win-win approach will ensure THE 3rd WAY becomes a significant, permanent movement. Direct incentive for employer: Either 50 percent, or 100 percent tax credit (for distressed areas) of the value of employer stock contributed to employees’ compensation. A contribution is made either directly or indirectly, such as to a trust or an ESOP, for eventual distribution to employees who now pay the tax on this new source of income. It will take an aggressive, simple-to-understand offer of 100 percent tax credits in urban and rural enterprise zones [UEZs & REZs] and 50 percent tax credits in all other areas to get the kind of massive conversion to a system needed to change the social order for the better. Premise: The big incentive should be available to all US businesses, then expanding internationally, whether public stock market or privately held corporations. There is a stark reality that needs to be addressed from the outset. For business owners and holders of capital to share their equity through ESOPs, we must recognize it will take an aggressive, simple-to-understand offer of 100 percent tax credits in enterprise zones and 50 percent tax credits in all other areas to get the kind of massive conversion to the system needed to change the social order for the better. (In the United States, urban and rural enterprise zones [UEZs & REZs] are intended to encourage development in blighted neighborhoods through tax and regulatory relief to entrepreneurs and investors who launch businesses in the area.) This will permanently improve the lives of the middle class and especially the underprivileged on a MASSIVE SCALE THROUGH THE PRECISELY FOCUSED AMAZING POWER OF CAPITALISM! Profit Sharing: Companies could have the option of including a cash profit sharing plan as part of this tax credit not to exceed 50 percent of the total available tax credit. The tax credit would only be available to firms that share profits widely among employees. Moreover, the benefit for any single company in a given year would be capped to prevent an excessive credit for very large corporations. Profit sharing would have the potential to provide employees with more short term compensation with longer term compensation coming in the form of equity sharing. Premise: Incentivize banks to make these kinds of “employee friendly” loans to corporations that want to set up ESOPS. Interest exclusion of 50 percent: This provision in the original ESOP legislation allowed a bank or other financial institution to exclude 50 percent of the interest income on qualifying ESOP loans from the lender’s taxable income. The purpose of this provision was to greatly encourage banks and other lenders to make ESOP loans to facilitate the transfer of a portion of equity to workers. 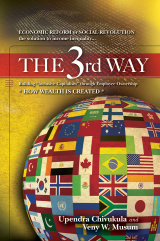 The bottom line of the book is, cut corporate taxes if it is shared with the workers in the form of stock equity. SHARED CAPITALISM. The individual employees win because they will share in the wealth producing equity/stock of the companies they work for. Participating corporations who share the wealth win because we call for an intelligent, equivalent drastic cut in corporate taxes AND they get THE BEST, highly motivated employees who in virtually every case help every business metric improve. And the government/society wins because it will lift the middle and even lower classes, cut social costs, cut unemployment and boost the economy!